Last weekend, I visited the K3 Filmfestival in Villach, which was held from 17th – 21st of September. It’s a small, international festival, with a special emphasis on films from Austria, Italia and Slovenia. Like the Sarajevo Film festival, I will give an overview about each day I went to the cinema. At 6pm the festival started for me with a retrospective of Moucle Blackout, an Austrian avante-garde-filmemaker. Her movies were shown in 16mm, and the projector was standing inside the cinema hall. I have been in contact with avente-garde films before, but I could never connect to them. They just too dull and unbearing for the most parts. But sometimes, if I can see any theme in these movies, I have something to hang on. Like her first movie, which I would describe as a horror movie without actual horror. 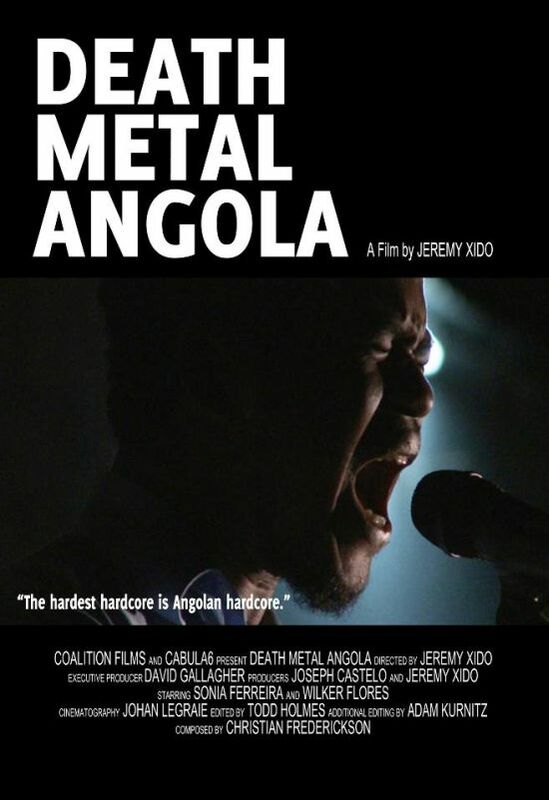 After that, the wonderful feature-length documentary “Death Metal Angola” was shown. It’s a movie about an Angolan orphanage, which wants to held a “rock” concert. But their definition of rock is mainly (death) metal. The film gives a lot of insides to the characters’ wishes and dreams while interviewing them and showing their various lives. Also, the third act gets really funny as the danger of the festival not happening/ not being a success becomes more and more clear. After the feature film, the short film block was shown. The first movie didn’t work, so it was postponed for later. The second movie, “Love in times of the EU” was again an avante-garde film, so I didn’t like it very much. Then there was a short documentary about life in Syrian refugee camps, which was made special because of the interaction between the characters and the camera. Then there was an animation film about workers with big hands. After that, the film “Electric Indigo” left a great impression on me. The movie is about a girl who is raised by her to heterosexual but married-to-each-other fathers. Their uncommon life-style gets severely disrupted when the girls insane mother returns. Then the would-be-first movie was shown again, and this time it works. 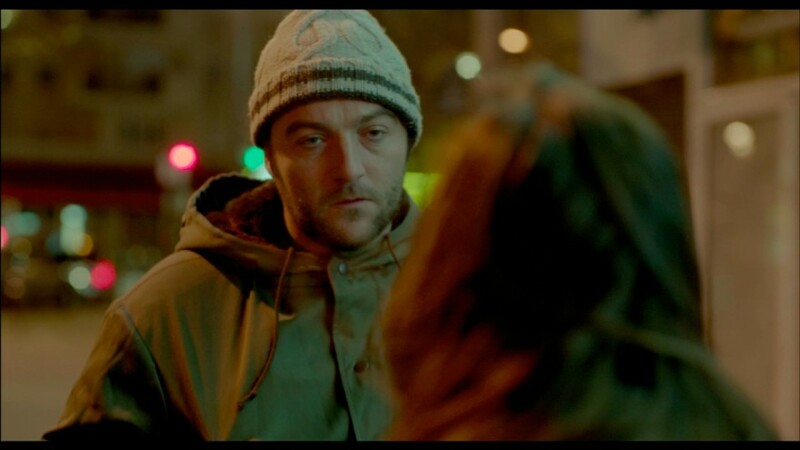 The French movie is called “Where were you when Michael Jackson died“, and it is about two strangers who meet one night and dream about their sexual desires this encounter has generated. The movie, which would later win the audience award (after a long discussion), stars Denis Menochet, who also played in “Inglorious Basterds“. I skipped the second day, but returned on Saturday for the talk with script writer Petra Ladinigg, who had written the screenplay for the movie “Risse im Beton“. She talked about ho she got into screenwriting, how she came to know Umut Dag, director of “Risse im Beton” and how the screenwriting process and financial process works. After that, there was a screening of the movie, which is currently also out in regular cinemas. Ertan has just been released from prison, and all he wants to do is getting his life in order, so that he won’t go to the bad ever again. He also wants to be near his son Mikail, who he has never met. Mikail on the other hand only dreams about becoming a famous rapper like his idol Azaad, so he can leave the hopeless ghetto he and his family are living in. In order to do so, he contracts a lot of debts with very dangerous people. The movie is another kind of Austrian film. It doesn’t have big stars (besides rapper Azaad, who is playing himself in a cameo), and stars almost exclusively people with migration background. The actors are great, and the chemistry between them, especially the two leads, is excellent. It’s a serious tale of redemption, hope, and having someone to care for/ about. It’s a coming-of-age drama about responsibilities. “Risse im Beton” is a great movie, and I urge everyone to go see it. 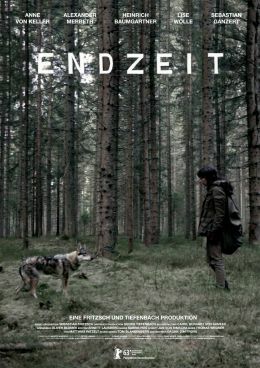 At 11am, the feature film “Endzeit“, a German postapocalyptic movie about a bunch of survivors trying to find something to keep living in the mountains was shown. The movie was shot in Carinthia, and has got a beautiful mountain landscape setting. The cast is excellent as well, and doesn’t need many words to be convincing. It’s rather their mimic that outlasts the movie. The opening and ending sequence is made by papercut animation (because of a tight budget), and brings another layer of aesthetics, especially in terms of lost childhood, to the film. The first half of the film is a road trip in the mountains, while the second half is a chamber drama in a farmer’s hut. Throughout the movie, the theme of loss and death is constantly hanging over the protagonists’ heads like a Damocles’ sword, leaving the viewer in wonder when it will fall and cut. After the movie, Carinthian film producer Klaus Graf talked about producing a TV-movie, and what the differences are to cinematic movies. At 4pm, the short film favourites ware shown for the audience award. Besides the winner “Where were you when Michael Jackson died“, the other two movies were “Crocodiles without saddles“, a coming-of age- documentary about a German girl with African roots, and how she sees herself, and “Symphony #42“, a collection of obscure animated scenes about the meaning and obscurity of life. After that, the grand prize of the jury went to a film I haven’t seen. (And I have no idea what it is called) With that the festival has ended. I’ve seen a lot of great movies, and am looking forward to next year. This entry was posted in A filmmaker's journal, Movie-related stuff, Movies, Shortmovie corner, That Austrian Movie and tagged Austria, Avante-Garde, Azaad, Carinthia, Crocodiles without sattles, Death Metal Angola, Denis Menuchet, Documentory, Endzeit, Feature Film, Inglorious Basterds, Italia, K3 Film Festival, Klaus Graf, Moucle Blackout, Petra Ladinigg, Risse im Beton, Short Movie, Slowenia, Symphony #42, talks about films, Umut Dag, Villach. Bookmark the permalink.